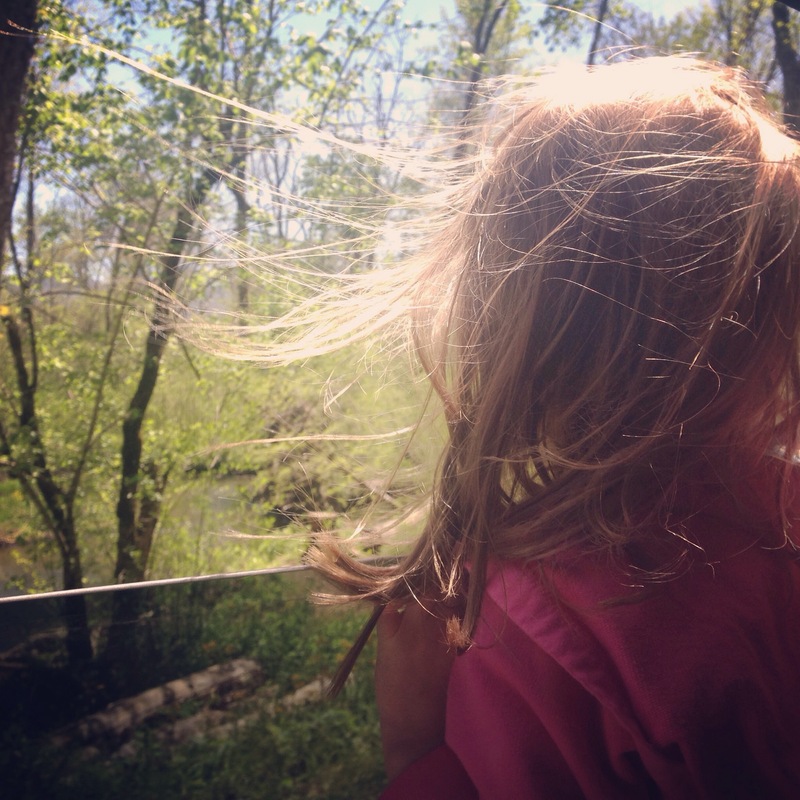 My niece looks out the window during a trip through Cades Cove in Tennessee. I’ve been making an effort to read outside of work more, so it’s a good thing there have been some great book releases lately. “Wearing God” by Lauren Winner: I’ve been a fan of Lauren since I read her memoir “Girl meets God” (which I can’t recommend enough). In “Wearing God,” Lauren writes about the biblical metaphors for God including the familiar ones of bread and wine and fire and ones given less attention including a woman giving birth. It’s a good read. 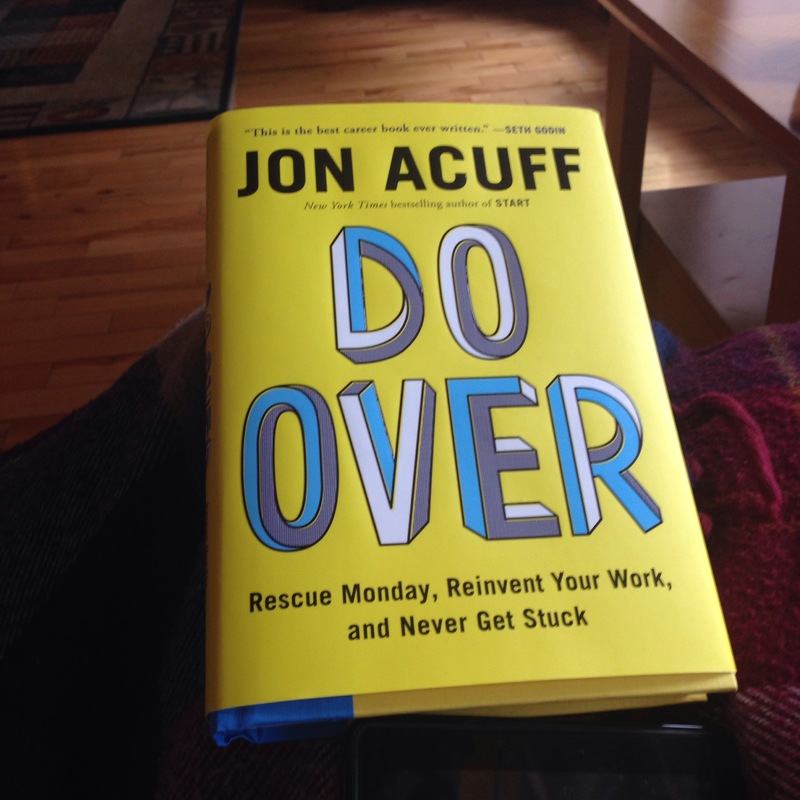 “Do Over” by Jon Acuff: Definitely the best career book I’ve ever read. I will more than likely give this one out as graduation gifts and to anyone experiencing a “career bump” or looking to better their situations. Acuff’s book is good even if you’re happy with your current job but want to invest in your career. Looking forward to reading “So You’ve Been Publicly Shamed” by Jon Ronson and “Minimalism: Live a meaningful life” by Joshua Fields Milburn and Ryan Nicodemus. 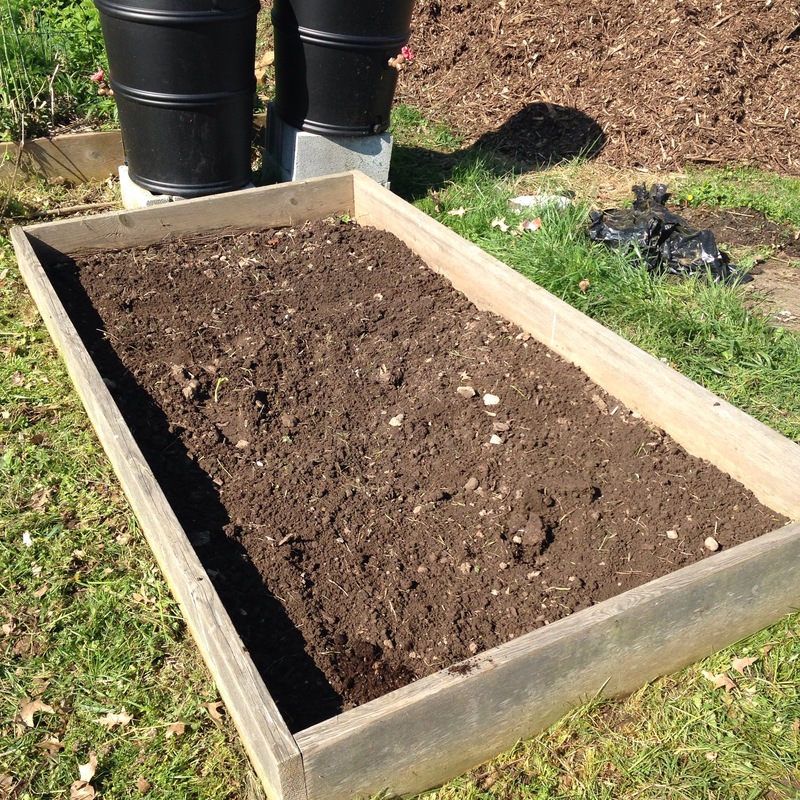 Learning to garden: As I mentioned here before, a friend and I rented a plot in the local community garden and I’m really excited to start to plant things soon. So far we’ve just weeded it out and we’re getting ready to plant soon. The garden plot is ready to grow things. Visiting Tennessee with my family: Just got back from a week-long trip to Pigeon Forge with my family. 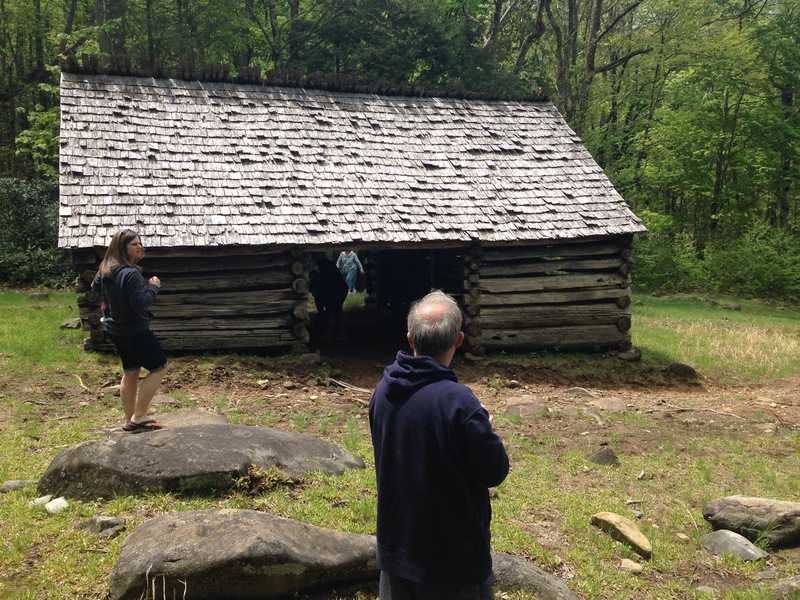 We saw the aquarium, we hiked, and we saw Cades Cove, an old Indian hunting ground turned settlement after the Trail of Tears. We hoped to see bears, but just missed seeing a mother bear and two cubs. A bunch of cars had pulled off the road to get a peek of them, but they were gone when we rolled by. Hiking Chimney Tops was two miles straight up the mountain, which I found difficult. The view was nice, though. It was great seeing my family, too. It’s rare to get a solid week with all of us in the same place. 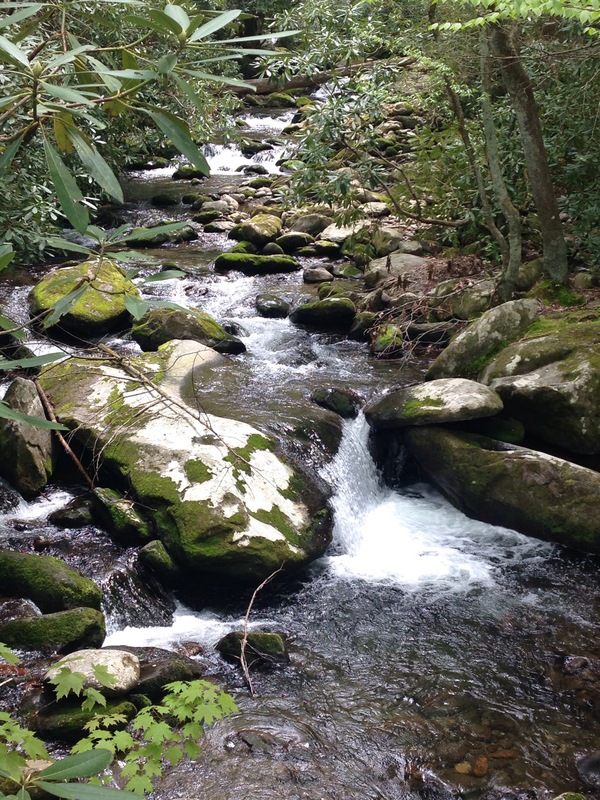 One of the many beautiful streams in the Smoky Mountains of Tennessee. My family explores an old cabin. 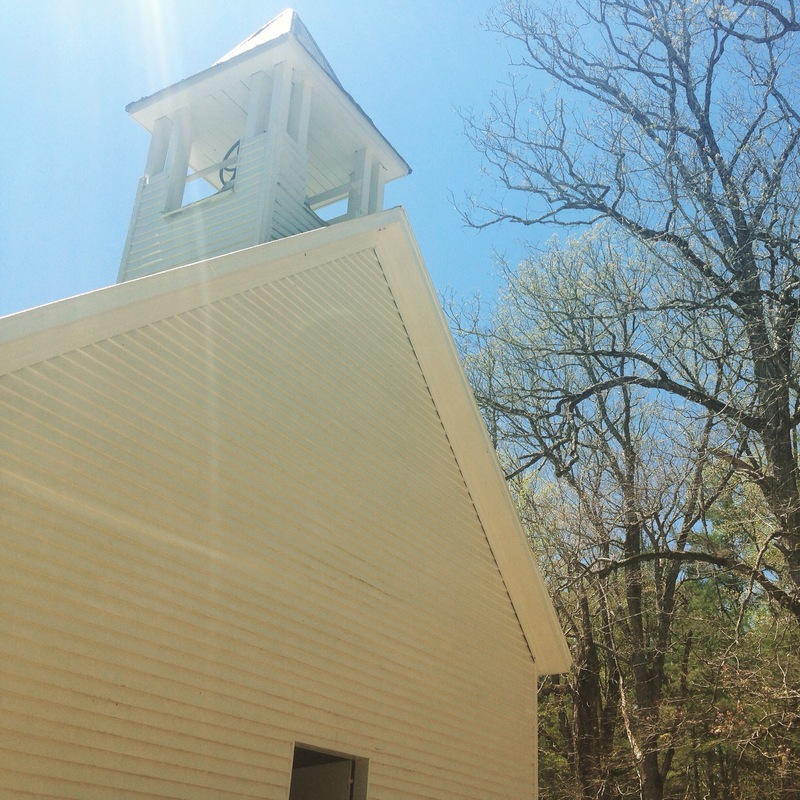 An old church in Cades Cove, Tennessee. 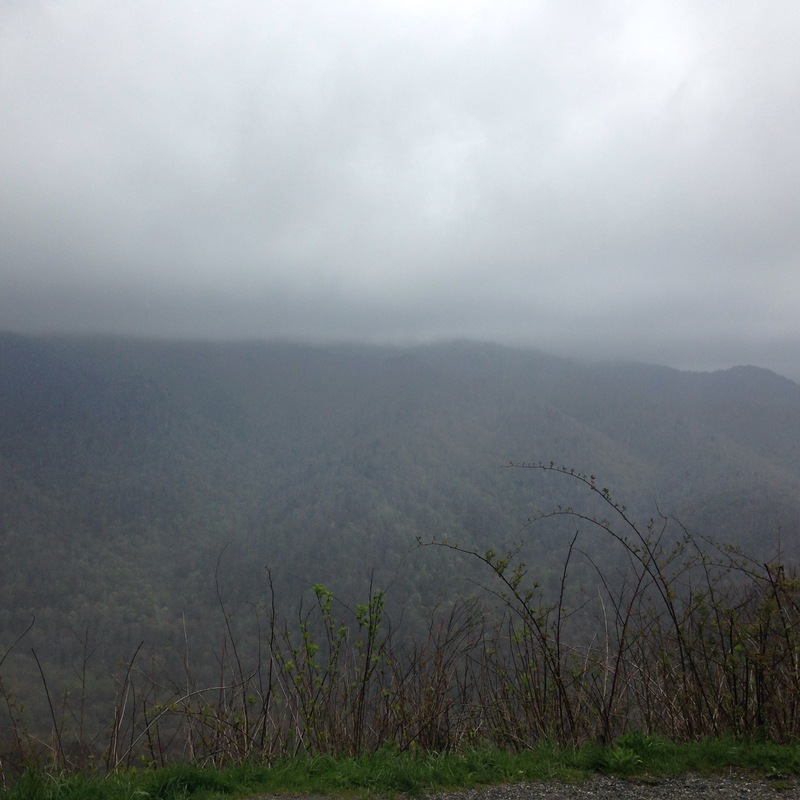 The Smoky Mountains of Tennessee on a rainy day in late April 2015. Not enough Mad Men. I’m a couple episodes behind and that stinks. Mountain Monsters: I was also introduced to the beauty that is Mountain Monsters this week while on vacation. I really can’t tell if it’s intentional, but that show is hilarious. It stars a crew of Appalachian men who travel to different areas searching for Big Foot — only these guys, remarkably, actually always find him. I’m only half joking when I say it could be the best thing on TV. I’m looking forward to seeing the movie “True Story” as soon as it comes to Charleston. I love journalism movies. Sufjan Stevens’ new album “Carrie & Lowell.” Love, love, love. Podcasts: The Liturgists, the Robcast, Grammar Girl, Story Corps, That God Show. Lately I’ve been into reading about minimalism and tiny houses. I’m looking to sell off a bunch of stuff I don’t need and live more simply.